Release a spider drone, which electrocutes the enemy, and also eminates a stunning shock-wave. 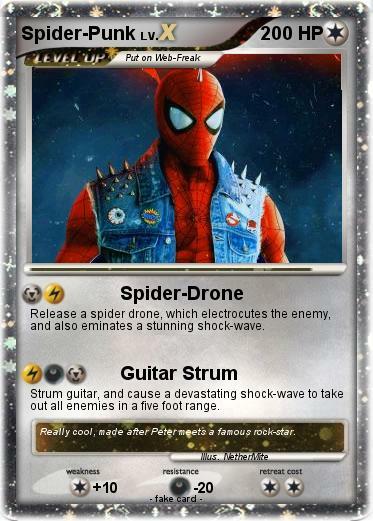 Strum guitar, and cause a devastating shock-wave to take out all enemies in a five foot range. Comments : Really cool, made after Peter meets a famous rock-star.